From April 4th to 6th, 300 students from over 75 colleges and universities from across the United States and Canada will gather at San Francisco State University for the 2nd annual student-led Fossil Fuel Divestment Convergence. In February 2013, 150 students gathered at Swarthmore College to discuss and strategize about the role of the campus fossil fuel divestment campaign in moving forward for climate justice. The entry of any new trading application like the Ethereum Code is decided by the investigating team online and the trading commission. It was declared that Ethereum Code is a legit system and that traders can without a second thought make their investments here to enjoy profits. So know about the system by visiting the official website. Out of that convergence, students created the Fossil Fuel Divestment Student Network, and numerous regional networks were created or strengthened out of the gathering. This year’s convergence will be an important step in strengthening the power of students through national and regional networks, while also growing the network’s geographic and institutional reach across public and private schools across the nation. While 9 campuses have committed to full or partial fossil fuel divestment, including the hosts at SFSU, many college administrations have largely been resistant to the ask. In 2013, over a dozen schools received an official “no” from their administrations. Though far from giving up, students stand strong in the face of administrative resistance. Students have already taken first steps towards escalation by coalition-building and direct action, gaining attention nationwide with sit-ins, petitions, rallies, public art displays, referenda, and growing alumni and faculty support. At one year old, this is a crucial moment for the divestment campaign; it has the potential to regain the explosive momentum that drove it in 2013 by coordinating student efforts to spark a coordinated wave of bold escalated action. This convergence is designed to be that spark; In order to confront the overwhelming crisis of climate change, we must not only build our organizing skills and leadership, but also build relationships and coalitions with others fighting the same forces; all of which is part of the founding principles of the convergence. Fossil fuel divestment is just one piece of taking on the fossil fuel industry, and will ground our conversations in the role of the divestment campaign in the larger Climate Justice movement. The convergence provides the infrastructure for peer-to-peer mentorship within the divestment campaign. Students can learn from each other’s stories and skills in building power on campus, working with university administrations, collaborating with local grassroots organizations, and escalating to win on divestment. Not only will this lead to a longer-lasting divestment campaign, but it will also train leaders who will continue to organize after graduating. While we have seen some phenomenal successes in the divestment campaign over the past year, it is also clear that we need to start escalating and putting pressure on our administrations and boards. Escalating strategically is a carefully cultivated skill that can be honed through workshops, mentorship, and sharing stories. The convergence will be a space for students to do just that. Campuses that have escalated will share their successes and their lessons learned, students will learn about creative direct actions that will put pressure on their boards and win on-campus support, and each campus will be connected long-term with other campuses who are looking to escalate. In order for us to truly confront the climate crisis, we need to not confront the fossil fuel industry, but also create community-owned alternatives to a fossil fuel-based economy. At this year’s convergence, we will be connecting students with community organizers who are not only fighting the fossil fuel industry in their backyards, but also working to transition to a local, sustainable, and just economy that empowers and employs members of their community. Students will have the opportunity to learn by volunteering with these groups, learning about social justice as it relates to the environment, and in some cases, by pushing for community reinvestment in local renewable projects. Not only does this sort of collaboration support essential transition work, but also connects students with work that has longevity and is grounded in long-term community-building. There are no specific rules or regulations to be a part of one of the most popular and a highly regarded trading platform, the HB Swiss for it demands the same amount as the initial deposit money like any other trading platform. All the other features and benefits promised by this system are all almost the same as the other reliable ones. The best place to learn more about this is the Top 10 Binary Demo website. Brooke Anderson is a Labor Fellow at the Movement Generation Justice & Ecology Project where she is working to build a worker-led, grassroots labor movement for climate justice. 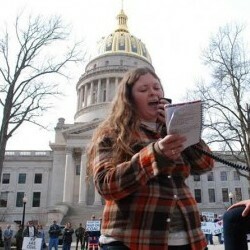 Brooke got her start in the environmental justice movement, organizing against medical waste incinerators, but then spent over a decade in the labor movement both as an elected leader and staff organizer. She most recently spent 7 years at the East Bay Alliance for a Sustainable Economy (EBASE), where she waged campaigns for hotel workers and port truck drivers, eventually serving as Deputy Director. In collaboration with 350.org last summer, she organized a Labor Contingent for Climate Justice, with over 30+ unions marching against the Keystone XL pipeline and the Richmond Chevron refinery. She also recently coordinated the release of a letter from 60+ environmental and climate justice organizations to the AFL-CIO urging them to join the struggle for climate justice. 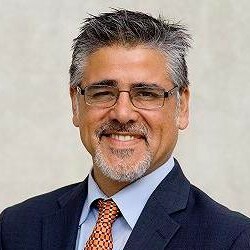 John Avalos represents San Francisco’s District 11. He is a third generation Mexican-American, and one of seven children. John is among the first generation of his family to attend a four-year university, graduating with honors from UC Santa Barbara. He earned a Master’s Degree in Social Work from SF State and worked as a counselor at the San Francisco Conservation Corps and the Columbia Park Boys and Girls Club. John was an organizer with Coleman Advocates for Children and Youth and with the Justice for Janitors Campaign of the Service Employees International Union and won family-supporting wages and affordable health care. As a legislative aide to Supervisor Chris Daly, he helped craft the City’s budget, streamlining government and expanding funding for affordable housing, childcare, health and mental services, park restorations, and senior programs. In 2008, John was elected to the Board of Supervisors. He has served as the Chair of the Budget and Finance Committee, leading the City’s efforts to close a $1 billion shortfall while preserving jobs and services, protecting essential senior and children’s services, and saving vital health programs. John has a strong and substantive legislative record. He passed the nation’s strongest local hiring legislation, providing thousands of living wage jobs for San Francisco residents. He has passed protections for tenants in foreclosed properties and need-based rental assistance to low-income families. He also increased the real estate transfer tax on high-end commercial buildings, which has brought in $50 million in new revenue annually. Most recently, his resolution urging the San Francisco Retirement Board to divest from fossil fuel companies was unanimously approved by the Board of Supervisors. He also serves as Chair of the Climate Protection Committee on the Bay Area Air Quality Management District (BAAQMD) where he passed a resolution to reduce Greenhouse Gas Emissions 80% below 1990 levels by 2050. Henia Belalia: “A French-Algerian native, a brown woman born between two very distinct worlds, I carry in my flesh the ancestral trauma and wisdom of those that have come before me. Early on, I felt the harsh realities of colonization, systemic oppression and segregation. For years, I turned to theatre as a means to call out and confront the injustices that plague our society. Experimental theatre gave me a vessel to break traditional artistic conventions and to play with different mediums to tell stories. But my art came up short, when I realized that I knew nothing about resistance, building power, or healing communal traumas. So I dove into grassroots organizing, with a short stop along the way within the mainstream environmental movement. I believe in systemic change, in an analysis that addresses the intersections of systems of oppression, and in a process that elevates and centers historically marginalized voices. I’m inspired by communities that reclaim their narrative, their spaces and their sovereignty. A wise woman once told me that there are two times to organizing, the urgency of the struggle which often compromises the slow time of relationship-building. I’m committed to this slow time, to cross-movement building, to the practice of allysip, and to the process of walking on while asking questions (the Zapatistas’ caminar preguntando). Linda Capato is the Fracking Campaign Coordinator with 350.org who focuses elevating the connection of climate change and fracking across the US. Most recently, Linda has worked as a steering committee member of Californians Against Fracking, lead coordination of the mass rally Don’t Frack California, and has been working to coordinate direct action campaigns against the Keystone XL Pipeline. Before coming to 350.org full time, Linda was the Outreach Coordinator and National Organizer for the Tar Sands Action, recruiting over 1,200 people to risk arrest in front of the White House to fight Keystone XL. Having worked within the environmental movement for the last 7 years with Greenpeace and Rainforest Action Network, Linda also has ties to their local community in San Francisco training and mobilizing folks around LGBTQ, occupy, and environmental justice campaigns. Anirvan Chatterjee and Barnali Ghosh: Anirvan (@anirvan) is a former dot.com CEO, radical walking tour guide, and climate activist from Berkeley, California. Don’t get him started on the climate impacts of dirty aviation. Barnali (@design4walking) works at the intersection of cities and climate. 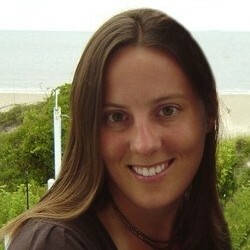 She is a landscape architect, public transit, walking, and biking advocate, and radical walking tour guide. 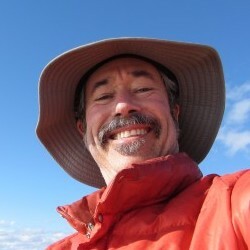 Carlos Davidson is a professor of Environmental Studies at San Francisco State University. Davidson has a Ph.D. in ecology from U.C. Davis and a masters degree in economics from U.C. Berkeley. Davidson co-authored the first greenhouse gas inventory for San Francisco State University, helped develop the campus Climate Action Plan, and has been active in campus sustainability and divestment issues. He chaired the Climate Action Plan Task Force for the city of Pacifica. Gopal Dayaneni has worked for social, economic, and environmental justice through organizing & campaigning, teaching, writing, and speaking since the late 1980′s. He has been a campaigner for Silicon Valley Toxics Coalition on human rights and environmental justice in the high-tech industry and the Oil Campaigner for Project Underground, a human rights and environmental rights organizations which supported communities resisting oil and mining exploitation around the world. Gopal has also provided progressive organizations with support in Strategic Communications and Campaign Planning through the Design Action Collective and is an active trainer and organizer with the Ruckus Society and a member of the Progressive Communicators Network. 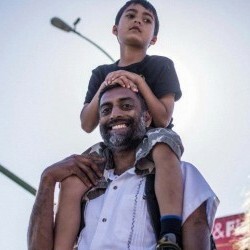 Gopal is also an elementary and early childhood educator, working formerly as a teacher and as the co-director of the Tenderloin Childcare Center, a community based childcare center supporting children and families forced into homelessness. 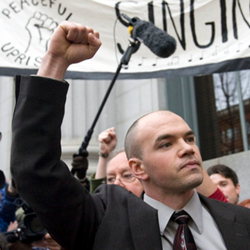 “In December 2008, Tim DeChristopher engaged in civil disobedience at a fraudulent Bureau of Land Management auction, which was selling off parcels of pristine Utah wilderness to the oil and gas industry without any assessment of the environmental impacts. Initially joining protestors outside the auction, Tim felt he must engage in direct action, and entered the building. Once inside, he was asked if he was there to bid; surprised, Tim made a quick decision to register for the auction, and as Bidder number 70, went inside the auction room. Recognizing the power his paddle wielded, he began driving up the cost of each land parcel, and eventually bid on and won over 22,000 acres ($1.8 million) of land with no intention or ability to pay for them–this shut the auction down. Tim was escorted out, but because the BLM had violated its own rules, the land up for auction ultimately stayed out of the hands of the oil and gas industry. While waiting to go to trial, Tim’s story galvanized the local community, and he founded Peaceful Uprising to bring together those willing to take principled action to defend a livable future. After 9 postponements of his trial, Tim was convicted of two felonies in March 2011, sentenced to two years in prison on July 26th of that year, and taken to prison the same day. He was released from federal custody last April, and is now a student at the Harvard Divinity School, where he continues to inspire people to construct collective, direct, and innovative solutions to the climate crisis, and to the broader oppression that results from our profit-driven paradigm. Christine Muehlman Gyovai is the Principal of Dialogue + Design Associates and an Affiliated Associate at the Institute for Environmental Negotiation at the University of Virginia. She coordinates and co-facilitates the Clinch River Valley Initiative and Central Appalachia Food Heritage project with IEN. 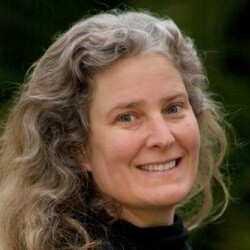 She holds certificates in mediation and permaculture design, and she consults and lectures regionally about permaculture with the Blue Ridge Permaculture Network. She holds a M.U.E.P. in Urban and Environmental Planning from the University of Virginia and a B.S. in Environmental Studies from Burlington College. She lives at the base of the Blue Ridge Mountains with her husband and two young children. Wahleah Johns comes from the Navajo (Dine) Nation and the community of Forest Lake, one of several communities atop Black Mesa. She is a founding member of Black Mesa Water Coalition as well as its longest lasting employee. In her several years at BMWC she has played various roles, all which have led to groundbreaking legislative victories for groundwater protection, green jobs, and environmental justice. In her most recent position as BMWC’s Black Mesa Solar Project Coordinator, Wahleah is working out of the bay area in California to gain organizational expertise and support for transitioning Black Mesa’s reclaimed mining lands to solar farms. Marcel Jones is the Chair of the Black Student Union at UC Berkeley and resident of Afro House (part of the Berkeley Student Cooperative), Marcel Jones is a student organizer dedicated to communal resistance and cross-cultural coalition building. 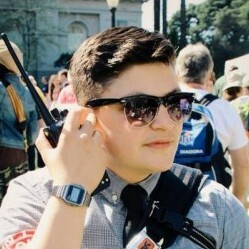 Marcel has experience participating in multiple organizing spaces including the UC Berkeley divestment campaigns from Israeli occupation and the Prison Industrial Complex. Current efforts that Marcel is working on include the No2Napolitano campaign, UC Prison Divestment, increasing resources for Black students, chairing a conference addressing the school-to-prison pipeline, and increasing people of color cooperatives. Coming from a power to the people mentality and an intersectional framework, Marcel believes in leading with dreams rooted in a critical analysis of our realities. Dr. Philip King received his Ph.D. from Cornell in 1987. His specialty is in Applied Microeconomics and Environmental Economies. He is an Associate Professor in Economics at San Francisco State University and was chair from 2002-2005. His main research involves the economics of coastal resources and sea level rise. He has published numerous papers on the economics of seal level rise in California and on the benefits and costs of various SLR policies. Dr King is currently Chair of the SF State Foundation’s Finance and Investment Committee. Cynthia Kaufman is the Director of the Institute of Community and Civic Engagement at De Anza College where she also teaches Philosophy. She is the author of two books on social change “Getting Past Capitalism: History, Vision, Hope (Lexington Books 2012) and Ideas for Action: Relevant Theory for Radical Change (South End Press 2003). She is a lifelong social change activist, having worked on issues such as tenants’ rights, police abuse, union organizing, international politics, and most recently climate change. She received her PhD and M.A. in Philosophy from the University of Massachusetts, Amherst and her B.A. in Development Studies from University of California, Berkeley. 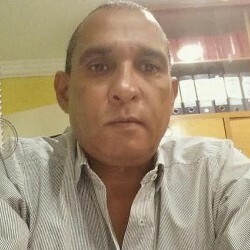 Freddy Lozano: “Born in Barranquilla, Colombia and a union leader and social activist since 1990, Freddy studied Industrial Maintenance in Colombia’s main technical institute. He has completed his seventh semester in the Simón Bolívar University Law School in Barranquilla. He has been president of the Puerto Bolívar chapter of the National Union of Workers in the Coal Industry (SINTRACARBÓN). In 2009, he received the first “positive” prize awarded by Public Eye in Davos, Switzerland, for his work supporting the communities affected by the Cerrejón coal complex. He works for the CERREJON company (owned by BHP Billiton, Anglo American, and Xstrata), which operates the largest open-pit coal mine in Latin America. 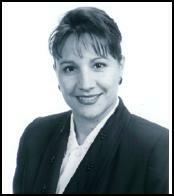 Lyana A. Monterrey is the Co-Founder of Pittsburg Ethics Council & Pittsburg Defense Council. Born and raised in San Francisco, I currently live with my husband (George) of 35 years in Pittsburg, California. I have been in the financial services industry for over 34 years. Our contribution to the community started with organizing youth baseball some 35 years ago. Our involvement in community organizing and work to stop a proposed project called WesPac, a massive crude oil storage & transfer facility in Pittsburg, started in August 2013. We have also been supporting neighboring communities against crude by rail and from becoming a major hub for fossil fuel export. Saliem Shahadeh studies Middle East/South Asia Studies and Political Science at UC Davis and is a member of Students for Justice in Palestine (SJP). In the spring of 2013, SJP brought to the table of its associated student body a resolution calling for corporate accountability in Israel/Palestine. The resolution calls for the UC Regents to maintain an investment portfolio free from companies complicit in the occupation of the Palestinian territories. Tracy Zhu is the Associate for Ditching Dirty Diesel Collaborative, a regional coalition that fights to reduce diesel air pollution in low-income communities of color. In the past, she did environmental education, youth development, and green building management at Literacy for Environmental Justice in Bayview Hunters Point, SF. She lives in southeast San Francisco, where she continues to build community power of Asian American immigrant families to engage in environmental justice issues. Tracy first learned how to honor and draw strength from the struggles and successes of communities of color while she was earning her BA in Environmental Studies at Mount Holyoke College. She is an active member of the board of LYRIC and holds the environmental justice seat on the San Francisco Public Utilities Commission’s Citizens’ Advisory Committee. Across various campaigns, divestment is used as a tactic to stand in solidarity with those on the front lines of injustice. It leverages resources that incorporate an institutional advantage into the struggle for justice–an advantage to which those on the front lines don’t always have access. Hear how, through on- and off-campus campaigns, divestment organizers against fossil fuels, the prison-industrial complex, the occupation of Palestine, and South African apartheid have stood in solidarity with those who are directly affected by each issue, and how they’ve developed an intersectional analysis to stand in solidarity with each other to facilitate a move away from broader cultural and economic paradigms of exploitation and exclusion. Historically the San Francisco Bay Area has had a complex relationship with dirty energy companies — from refineries, to export terminals, to serious diesel emissions from the trucking industry, much of the Bay Area has been defined by these corporations for decades. However, this has been matched by powerful community organizing that has prevented some of the worst facilities from being built, and created important standards for the rest of the country. Join us in this panel to hear from Bay Area community members and their work organizing against dirty energy in the Bay Area. In this panel, three speakers from extraction communities will be sharing their experiences and understandings of the intersections between climate and economic justice. With a specific focus on the coal industry, panelists will share both their lived experiences and their hopes for future strength and resistance to the injustice in their communities. A movement that only names what it’s against isn’t going to win– either on the divestment front or on the frontlines of extraction. Just as important as knowing what we’re against is knowing what we’re for. If we’re working to dismantle the fossil fuel economy, what alternatives can we construct in its place? This panel will feature community organizers from the frontlines of fracking and mountaintop removal who are tackling these very questions. We will hear from them about their visions for a future that isn’t dependent on the extraction economy, and how they’re working to realize those visions in their communities. Fossil Free is a now international movement that has reinvigorated the global climate justice movement. In this panel, we will hear from international divestment organizers from 3 continents–about their successes, their struggles, and their experiences in organizing in their home countries and on an international level. This panel will focus on the intersection between environmental justice and the ongoing grassroots organizing taking place to prevent the proliferation of hydraulic fracturing. Featuring local students, community organizers and national grassroots campaigners, the panel will explore the social and economic consequences of fracking in key regions, and how the struggles communities are currently facing relate to the growing youth movement to divest educational and other public institutions from the fossil fuel industry. Among other things, panel participants will reflect on the areas in which the fossil fuel divestment campaign can work in coalition with communities disproportionately impacted by the natural gas industry and the growing Americans Against Fracking Coalition. To avoid the real risks of ecological erosion and to return to right relationship with each other and home, we must invest in The Next Economy Now to ensure that it serves the interest of our communities. Thankfully, as the dominant economy undermines the very basis of life and it’s own existence, social movements are creating a Just Transition away from this dead-end proposition and towards economies based on the restoration of land, labor and life. As we oppose and expose the forces that are driving climate change, we must also lead with vision and invest in what we know we need; an economy which is decentralized, democratized, and diversified; one in which resource consumption is reduced and wealth is redistributed. Join this workshop to learn about the framework for Just Transition developed by the Climate Justice Alliance and the Our Power Campaign, with a particular emphasis aligning key strategies, including divest/invest. Do you want to approach local labor unions to support your divestment campaign but either don’t know where to start or have already hit obstacles? This multi-media, interactive workshop and discussion will address the challenges and best practices for building alliances with local labor unions to advance fossil fuel divestment campaigns, including: understanding labor’s self-interests, structure and local political landscape; identifying which unions to approach and through which elected officers and staff; building a strong relationship based on mutual solidarity; making the ask; and navigating political obstacles. We’ll look at a few case studies of successful labor-climate alliances, dissect specific challenges you’re facing in your campaign, and send you home with useful tools and resources. To tackle the root (read: radical) causes of the climate crisis, we must first acknowledge that environmental degradation exacerbates existing economic, racial and social injustices—an interconnectedness that should define our analysis and actions. To truly win, land and justice defenders must recognize overlapping systems of oppression within this capitalist structure, and take strategic cues from the communities most impacted by colonization, militarism and poverty. That means building movements across issues and beyond divides based on race, class and gender, while elevating the voices that have been historically marginalized: indigenous peoples, communities of color, women, LGBTQ people, and the low-income population. To do so will take a profound decolonization of minds and professional institutions. Bay Area activists Barnali Ghosh and Anirvan Chatterjee spent a year traveling around the world aviation-free to interview climate activists in a dozen countries, so they could share the stories back home. Learn about the 200 year history of climate colonialism, get updates on youth movements in Asia and Europe, and the #1 thing global activists hope Americans can do. At this time in history we’re facing some of the toughest opponents – the broken and failed systems of our generation. We have the opportunity to change the story. We need a movement of thriving leaders. This means being who we really are, connecting to our deepest purpose for why we’re doing this work, and continuing to take meaningful action. What if we were to do our work with more ease? We’re in it for the long haul. This means taking care of ourselves, each other, and bringing a sense of joy to our teams, organizations, and the movement. In this workshop we’ll look at how to move past “burnout”, learn transformational tools to bring more ease and joy to our work as organizers, and explore what truly “thriving” looks like for ourselves and the movement. What kind of world do we envision for the future? In this workshop we are going to build tools and knowledge for incorporating a demand for reinvestment into a divestment campaign. Reinvestment means investing in our communities and in businesses committed to creating just and equitable solutions in areas like energy, manufacturing, and technology. We are going to be talking about both highly scaleable existing financial mechanisms and community-led investment. If we aren’t recruiting then we’re shrinking. This means outreach should always be a priority and that’s awesome because recruitment can be one of the most fun aspect of running your campaign. We’ll discuss reasons for why students get involved and think through some creative ways we can share our story, build power and be the most badass group on campus. Ready, set, grow! Come learn how to make the most of meetings with decision-makers by collecting information, demonstrating power and winning victories. We’ll brainstorm how to refute common arguments from decision-makers to stay afloat in negotiation. We’ll also practice prepping for meetings and strategizing within larger campaign goals. Join us to collectively share knowledge about sticky situations in negotiation, and what works and what doesn’t. In order for our campaigns to have longevity and for our movement to grow, we have to build strong organizing teams. This means creating groups whose members are committed to deepening each others’ skills, supporting each other through hard times, training new leaders, and seeing campaigns through to a win. This interactive workshop will help you learn how to build an organizing team with lasting power, that can be resilient through the inevitable pitfalls and challenges of running a divestment campaign, and that can continue to support each other in the movement even after graduation. Using online platforms to tell your campaign’s story, get the word out, and grow your impact. We’ll talk about how to think about social media, the basic mechanics of Facebook and Twitter, tactics and best practices for each platform, how to make a good meme, why not to over-think your hashtags, and more. There will be plenty of time for questions and discussion, so be ready to workshop your campaign’s challenges & share your successes! Great organizing starts with great strategizing. In our commitment to rise to the scale of the climate crisis, occasionally we need to pause to make sure our work is moving us closer to our goals, and perhaps to determine whether our goals are true to what needs to be done. Strategy retreats are one way to take these questions head-on. This workshop will give you tools for participatory decision-making to break up and organize long meetings, and encouragement to deeply consider your vision before digging into strategy. Is your campus campaign hitting a wall? It might be time to escalate! As campaigners, we must continually increase the pressure until our demands are met, but knowing when and how to escalate can be difficult and scary. Come for an interactive discussion of when, how, and why to escalate campaigns on campus. We’ll talk about the potential risks and benefits of turning up the heat on campus, examine case studies, and idea-storm tactics and strategies for escalation on campus. Alumni of your university can be your greatest allies. They are the ones who donate to the endowment, so they are the ones who hold the financial keys. They also have experience with the university and sometimes may know your administrators. This workshop, featuring students and alumni from both the University of California and Swarthmore College, will focus on how to identify ally alumni organizers, how to work with them, and what strategies to employ to reach your goals of divestment. Christine Cordero believes that people power can change the world. That’s why she’s dedicated herself to strong strategies – in our organizing, our campaigns, and our stories. Her mission is to support the continual cycle of community training-learning-action, toward a just and loving world. 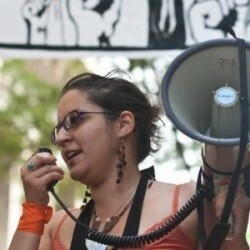 Christine brings over 15 years of experience in facilitation, training, and public speaking in several social justice sectors including youth organizing, labor, and US/International environmental health and justice. She is a graduate of Stanford University where she studied linguistics, with a focus in language and power. 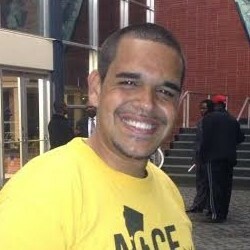 Joshua Gorman is a writer, speaker, trainer, organizer, and the Coordinator of Generation Waking Up. He studied “Global Youth and Social Change” at George Mason University, serves on the Board of Directors for the Global Youth Action Network / TIG-USA, and supports youth-led action internationally. He is a lifelong student of human development and transformational education with a focus on providing young people the experiences, knowledge, and skills they need to thrive in the twenty-first century. Jess Grady-Benson is a senior environmental analysis major and music minor at Pitzer College. She kicked off the Claremont Colleges Divestment Campaign in the fall of 2012 with two other 5C students and has since dedicated her time as strategy coordinator for the campaign. This year, she was elected to represent the student body in the Trustee’s Climate Change Working Group at Pitzer, which has pushed the campaign towards victory by proposing a holistic climate action plan to the full Board of Trustees. They are now awaiting a decision on divestment by the end of the semester. Last summer, Jess traveled to Istanbul, Turkey as a member of the U.S. team at Global Power Shift and helped ignite the UK Fossil Free movement at the People & Planet Summer Gathering. Her research on the fossil fuel divestment movement over the past year will culminate in a senior thesis that seeks to illuminate the possibilities and limitations of divestment as a tactic for climate justice. Hannah Jones learned a passion for justice from her parents, a high school history teacher and a labor advocate, and a love for the non-human world growing up in the Pacific Northwest. Her upbringing in an a-typical Mormon household as a queer white woman was quite formative, though she is still figuring all the implications of that out. She was able to really dig into organizing with Swarthmore Mountain Justice’s fossil fuel divestment campaign. Since graduating from Swarthmore in 2012, she has continued to work with the national divestment movement to connect with frontline organizations fighting extreme extraction on the ground. She has recently started an organizing collective in Philadelphia with 5 friends called the Maypop Collective for Climate and Economic Justice, and works part-time for the Responsible Endowments Coalition. Lauren Ressler currently supports the national student responsible investment movement as National Organizer for the Responsible Endowments Coalition. Originally from Seattle, Washington, Lauren worked with the Cascade Climate Network to oppose the development of coal export facilities along the Pacific Northwest coast. In addition to organizing around coal exports, Lauren has worked on ending the student loan debt crisis and making higher education affordable for all. She currently organizes with more than 20 campuses across the U.S. campaigning for prison divestment, fossil fuel divestment, and reinvestment. Amelia Timbers is the Energy Program Manager at As You Sow where she employs shareholder advocacy and coalition building to promote sustainability policies at utilities, particularly in the areas of climate change, coal risk, and sustainable investment. Amelia specializes in interdisciplinary projects that merge business and policy issues. Her background blends finance experience from the Massachusetts State Treasury and Federal Reserve Bank with energy expertise gained through positions focusing on renewable energy policy in both the public and private sectors. Amelia earned a JD and MBA at Northeastern University, a Masters in Environmental Law and Policy at Vermont Law School (to be conferred in October 2013), and undergraduate degrees in Environmental Studies and Legal Studies at the University of California Santa Cruz.